Only 48 Days Till Spring!! Good morning. It's a little after 7 a.m. and I've been up for a couple hours. I crocheted a bit, made some breakfast and checked my emails. I'm also learning my way around my laptop again. Yesterday I must have touched a button somewhere (don't know what or where) and everything on my desktop went cookoo. I tried to make a bit of order on the desktop but learning to use the task bar while it is running up and down the side of the screen is a new thing for me. I don't know how to change things back to what they used to be, so I'm just doing the best I can with it. Doesn't he look like a tiny lion? I will have to give some thought to what type of hair cut he'll get next trip to the groomer. I love the clean look, but this tiny lion look is beautiful too. Hmmm, we'll see. Well, we've come to the end of January, and now I really must buckle down and finish putting all my tax stuff together, adding lots of columns and keeping my bottle of Excedrin Migraine handy. What I could really use is something to keep the nerves from being so jittery. I know it's all because of the tax stuff, and it will go away in a few weeks, but it still makes me sick to my stomach until it is finished. This year, I'll be working with a new accountant, so that in itself will be a new experience. Oh gosh, I'm too old for this stuff!! Ah well, I'll get over it. I borrowed this next image from the web. What a great idea for a flower or berry garden when space is limited. 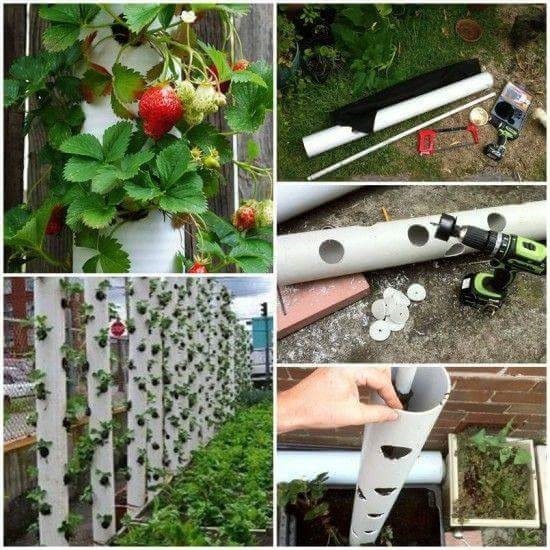 It's made with pvc pipe and could make a very interesting garden. I'm thinking that it will be fun to see what other kinds of plants can be planted this way. Now I really can't wait till Spring gets here. Only 48 more days!! Woo hoo!! 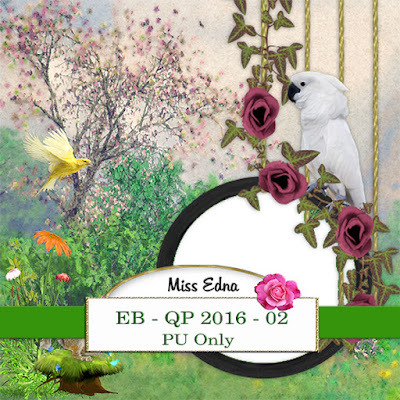 It's time to start taking a serious look at the seed and flower catalogues. First on my list of plants is the citronella plant. I usually keep a couple of these near my door. Soon it will be time to renew my contract with the Lawn Doctor. I enjoyed having a mosquito free yard last summer. We didn't see any ticks either. So, I guess the yard treatments worked just fine. Well, the morning is slipping by quickly and I have laundry waiting to be done. So till tomorrow, Y'all have a fantabulous day. Good morning. I'm back, sort of. I feel much better this morning, but I'm still a tiny bit woozy on the feet. I'm sure that will get better as the morning goes on. I'm not sure what hit me yesterday and the night before. I worked on tax stuff all Wednesday afternoon, so maybe that's what did it. Yup, I'm sure it was the tax bug! I want to thank everyone for the good wishes. It really does help one to feel better. And of course, my little fellow Pogo. He was right beside me, or on me, the whole day yesterday. He's the best little nurse I ever did have. SIL Eddie and Dee Dee came by yesterday to check up on me and to do a couple errands for me. My kids are awesome!! I had Dee Dee take the large bag of new baby things home with her to give to Bobby and Amber. I got an email this morning saying that another big box of baby things should arrive here on Monday. The only box that is not rushing to get here is the yarn box! I did get a box yesterday, and it was my two new Blog Books. I looked through both of them, and was extremely pleased at how they came out. Sorry the photos aren't the greatest, but I tried. I was in a hurry this morning to take them with my phone so that I could post them here. 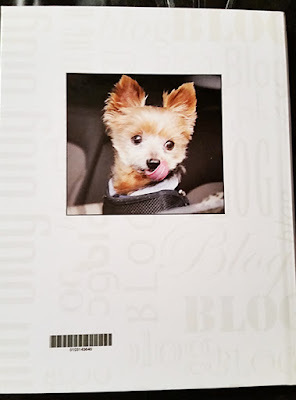 Earlier while I was napping, a little bell went off in my mind that said there was a problem with my blog books. So I checked them again, and finally decided to check Volume One again. That's when I found my problem. I had totally missed two whole months, May and June. Now what shall I do? I finally decided to make a Volume One "B." So I cropped two more photos for the covers and proceeded to make another book. 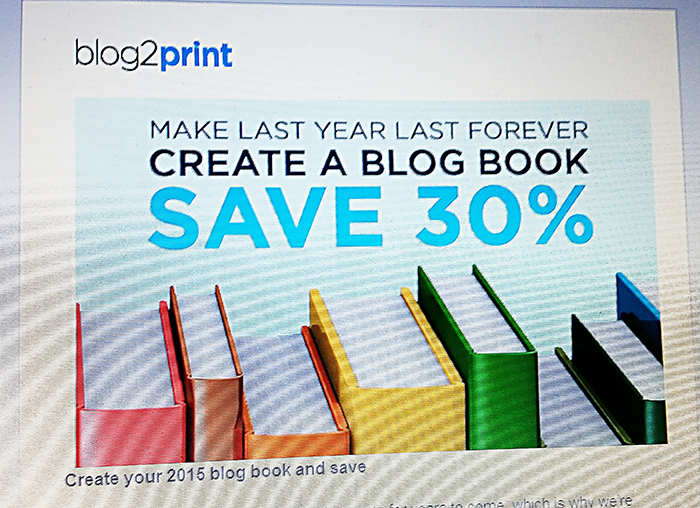 Lucky for me, Blog2Print was running another coupon promotion and I got 25% off my new book. I will have to be more careful in the future. I like to blame things on old age, but to be honest this mistake was my own fault. I had forgotten that the first volume only had four months in it. Ah well, all is fixed. Yesterday at work, Joe's boss brought in a big jar of jelly beans. He does this every year. The employee who comes closest to guessing how many jelly beans are in the jar gets the next day off work paid. Last year Joe won this. Guess what? He has today off with pay! Yup, he won again. I don't really feel like trucking around the market today, so maybe I'll just take Joe to the market and give him a small list for me. Pogo and I will stay in the car and wait for him. I don't really feel like being around a lot of people just yet. Well that's about all my news. I'm going to curl up in my lounge chair and watch a bit of TV. So, till Sunday, Y'all have a fantabulous day. Good morning folks, No post today. I'm feeling just a wee bit under the weather. I'll be back tomorrow. Thanks for stopping by. You have a wonderful day. Good morning. It's not daylight yet, but I've been busy paying bills. Later this morning, Pogo and I will go to the bank and then to the town hall to pay more taxes and pick up Pogo's new license tag. I also want to call Pogo's groomer and make an appointment for him. His adorable little face is being hidden beneath long hair. Well, none of the packages I'm expecting arrived yesterday. So hopefully they'll get here today. I especially hope the box of yarn gets here so that I can get back to working on my afghans. I did try using a yarn that I have on the "café latte" afghan, but it just isn't looking very happy. Pogo got a reminder notice from his doctor saying that his annual physical appointment is in two and a half weeks. Gosh, time is flying again. We'll be leaving for Florida about ten days after that appointment. Oh wow, I have so much to do. 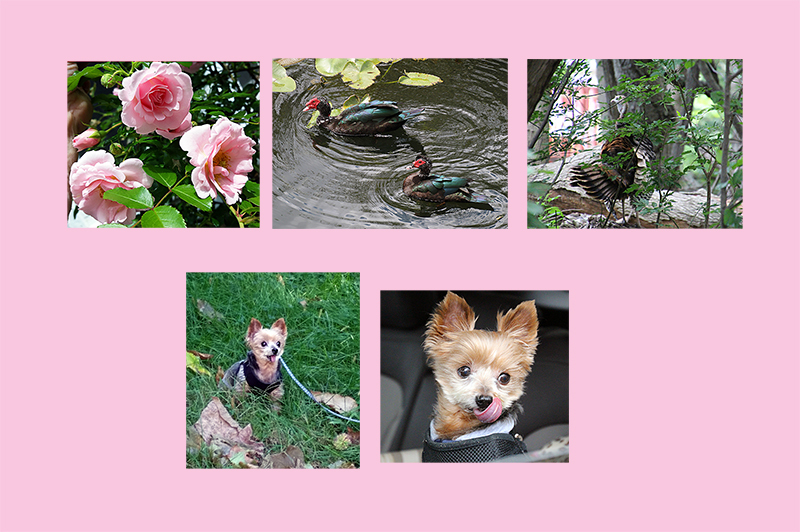 I also have a scrap layout to share that my friend Beth made, using the photo of me and Pogo, and Jack and Lila. 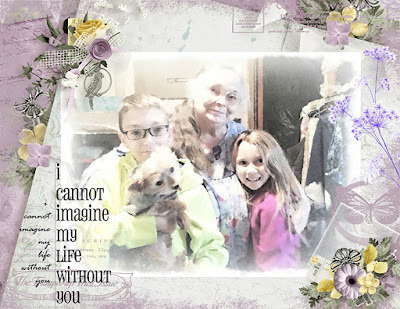 (great grands) I love it Beth. Thank you so much. Now I think I'll pull out the tax stuff and work on that for a while till it's time for Pogo and me to go out. So, till tomorrow, Y'all have a fantabulous day. Good morning. I'll have to talk fast or I'll have to change that to "good afternoon." It's 43F degrees this morning. Woo Hoo! Oh be still my little heart, I just love it! Today is supposed to get up to 47F degrees. Even tonight will be above freezing. Oh my. They just showed the forecast temps for the next week on the Weather Channel. Five days start with a "4" and two days start with a "5." Yes, yes, yes. I can sooooo handle this. In my younger days, this would have been called the "January Thaw." Our door is open, and Pogo has plunked his little body right in front of it. The oil delivery came a little while ago, and Pogo was so happy to be able to sniff the guy's ankles and bark at him. We were going to go out today to do errands, but plans were changed because I did not know when the oil would be delivered. Maybe tomorrow we'll go out and get Pogo's new doggie license. He needs that and his annual check up before he can travel to Florida. February is going to be such a busy month. Between taxes and all our check ups and packing, we have lots to do. Today's photos will feature a couple of the great grands. 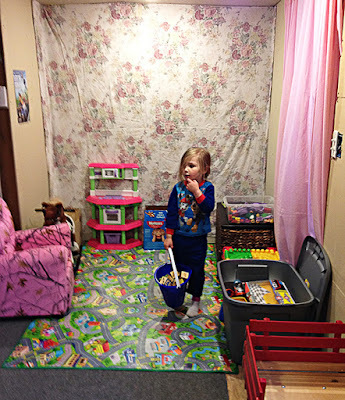 Daughter Audrey's living room is "under construction" so she has sectioned off a corner of the room to make a play area for Alena, her granddaughter. See who else got a new chair for Christmas? 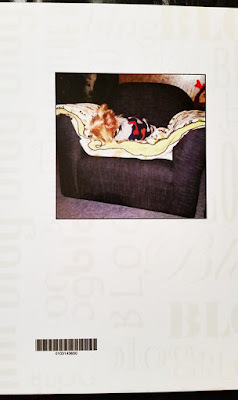 Next I have a new photo of Baby Ali. Can you believe? She is already up to nine pounds!! Gosh, she is such a happy baby! I fell asleep early last evening, and woke up early (around 1:30 a.m.). So I crocheted for a while, then went back to bed. Eventually I fell asleep again and did not get up till 10 a.m. The extra sleep really felt good. Today I'm expecting more packages to arrive. I'd like to get all the new baby stuff boxed up so that I can give it to the kids before I leave for Florida. Baby Aurora is due the first week I'll be gone. Of course, with first babies, one never knows when to expect them. Well, it's getting close to the noon hour and I'd best go see what's for lunch. So, till tomorrow, Y'all have a fantabulous day. Good morning. The sun is shining and it's about 19F degrees. Tomorrow is supposed to be warmer so maybe I'll go out to do errands then. Today I need to get busy and work on my tax stuff. I am very good at neglecting it, but it needs to be done. 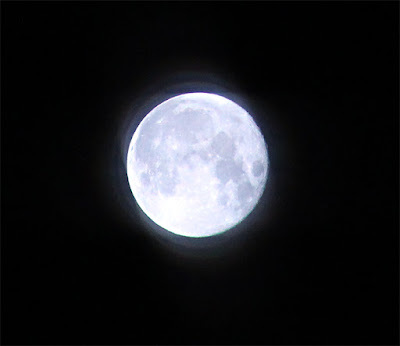 Last night there was a gorgeous moon with quite an aura around it. 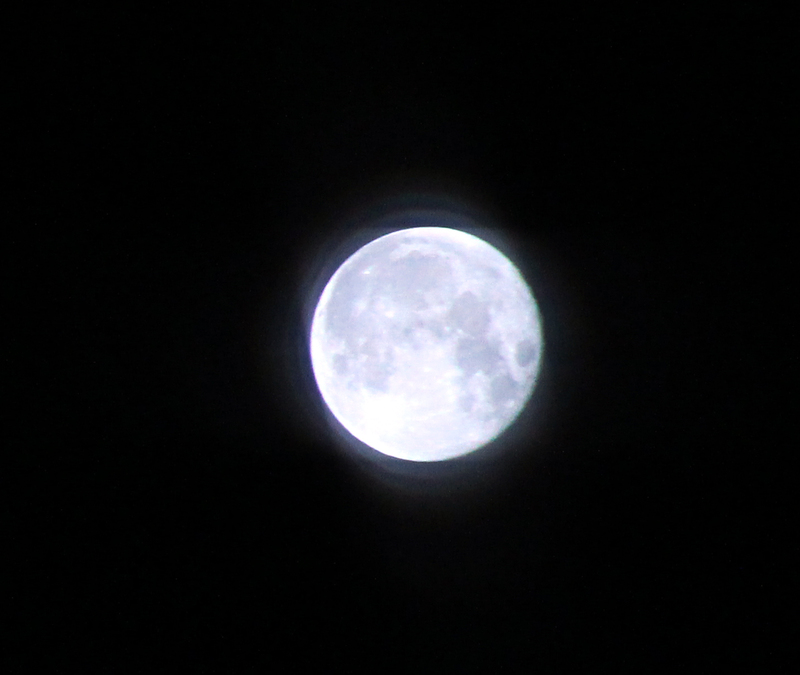 I had to wait until around 3:30 a.m. to be able to try to get some photos of it. Before then, the tall trees hide it from my view. I took some photos through the glass door pane. It's aura was rather bright with a bluish hue, probably because of the clouds. Most of my photos look the same as these two, and the rest had light rays tht were bright and hid any details on the moon. After taking photos, I was awake so I crocheted for a little while and gave Pogo an early breakfast. I figured that would tire me out and I could get some more sleep. I guess I didn't figure right. Sleep after that was elusive. Tonight, I'll have to leave the camera in it's bag and stay in bed. I think maybe our neighborhood hawk has moved on to another yard because a few of our little birds have come back. They don't stay out in the open for very long, but at least they are here. I'll have to go out later and toss a bowl of goodies beneath my car for them. 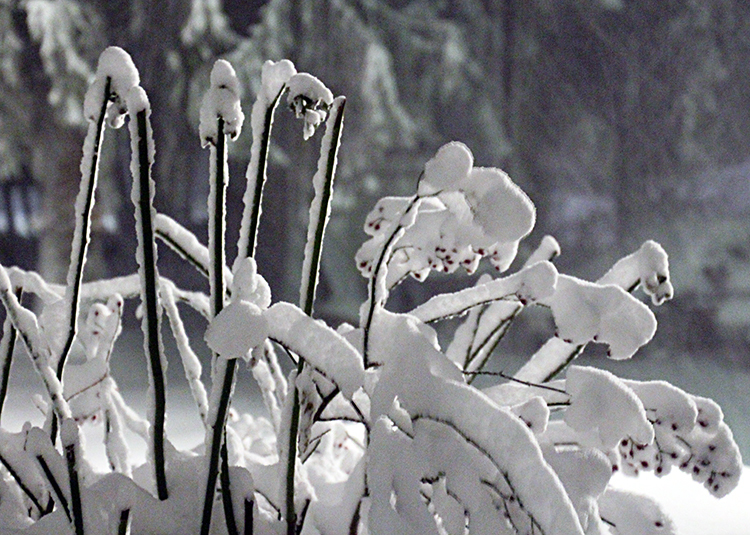 The other night while it was snowing, I took photos of the bushes in front of the kitchen window. (phtos taken through the window) I think the shapes that plants and trees and shrubs take on when they are covered with snow is so very interesting. This is part of a tall rose bush. The little beads are tiny rose hips. This photo was taken around 10:30 p.m. Saturday night. The light shining on the bush is from one of the security lights on the house. Ever wonder how some folks keep their jobs? We've been getting our fuel oil from the same company since back in the 80's. They always said that they would only come out for a fill up (not a partial fill) and they expected to be paid in full at the time of the delivery. No problem. So here we are more than thirty years later, and when I call for a delivery the conversation goes like this: (me) Hi, this is Mrs Barron and I'd like to schedule a fill up. (secretary) Ok, and what is your name? I repeat my name. (secretary) And what is your address? I give her my address. (secretary) What is your phone number ma'am? It shows on her phone but I give it to her anyway. (secretary) And how much oil would you like? This one always confuses me because they will only deliver a total fill up. (me) Can I get just a half tank? (secretary) No, we only deliver fills. (me) That's okay because I asked for a fill up when you answered my call. Now the secretary sighs. Hmm, I wonder if my phone call woke her up? Mind you, this same voice has been asking me these same questions all these years, and to date she does not have a file card with my name, address and phone number on it. She still asks me every time I call if this is a single family house. And for years I've been telling her "Yes it is." I asked once why they did not have my information in a file on their computer and was told "Oh we don't believe in using computers." I guess the lady only has a short attention span too. Also, she might be married to the owner. If so, that would explain how come she still has her job. What do I know? Well, that's about all the news for this morning. Now I'm going to find some mischief to get into. So, till tomorrow, Y'all stay warm and have a wonderful day. Good morning. It's 5:22 a.m. and I'd rather be sleeping. However, an hour or so ago, Pogo got hungry and decided that I should get up and get him something to eat. Well, he's such a macho little fellow that of course I got up and made him a plate of food. Somehow, I think Pogo did a bit of shopping online too. I left the room for a few minutes to get a snack and a bottle of water; and when I came back Pogo quickly jumped away from my laptop. Hmmm, I'm going to have to check the billing statements when they come in. Well, "Jonas" finally made his way here to my little part of New England. 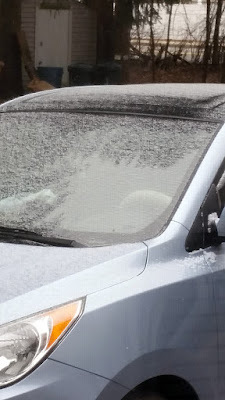 Around 1:30 yesterday afternoon, the wind had picked up quite a bit and tiny snowflakes were swirling around outside. For most of the afternoon, it was a light snowfall. I filled a couple of bowls with peanuts, and Joe took them outside. One bowlful was to be spread under my car and the other bowlful would go in the squirrel feeder. It did not take long before the squirrels found the peanuts. I haven't seen any little birds lately so I guess the hawk is still hanging around in our trees. I do wish he would move on to someone else's yard so that our birds could come back. I really do miss them. Here's a photo of the Scarlet afghan that I've started. However, I've gone as far as I can go until the new yarn order gets here. So now I have two afghans started that are just waiting for their variegated yarns. Ah well, it's no biggie as long as they are finished in time for Christmas. 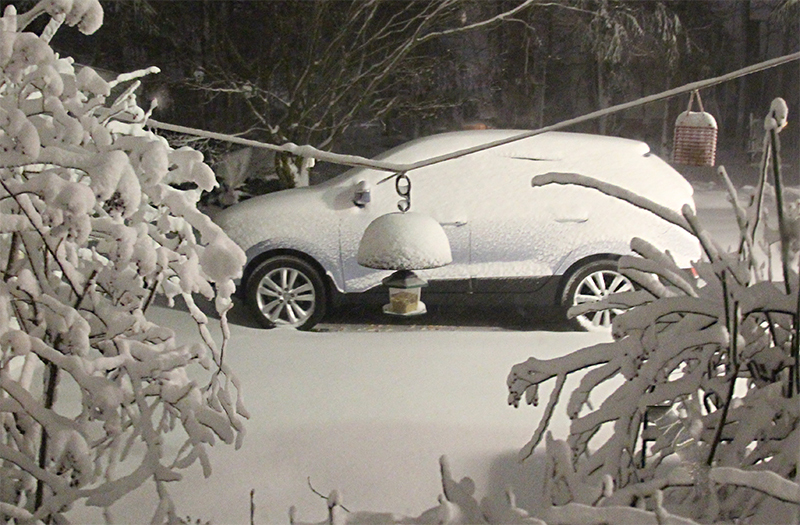 Around 10:30 last evening, I took a photo out the kitchen window to see how much snow we already had. Every few minutes, the wind would howl, the giant trees would be swaying and bending, and large swirls of snow would be flying around in the yard. When I next looked out around 3 a.m, the snow had stopped. We managed to get a few inches, maybe four. At least that's what it looks like from my window. I'll know better after daylight. We were pretty lucky. A few miles south and west of us did not fare so good. I have an update on my friend Nani. She is back home now with her hubby and their fur babies. Nani, this is such wonderful news. I hope the rest and the therapy did lots of good for you. I've missed your smile. 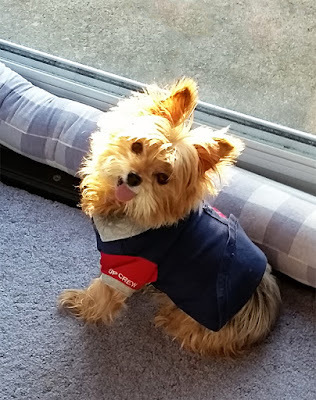 Joe must have got up early this morning too, because Pogo smelled the coffee perking out in the house and ran out to the pantry a few minutes ago to bark for Joe to get his turkey treat. Gosh, this little doggie of mine is sooooo smart! Well, that's about all my news for this morning. So, till tomorrow, Y'all be safe and have a wonderful day. Good morning. The sun is shining and it is around 23F degrees. Temps should get up to around 31F later today. If you're a snowman, it's a lovely day. Only 57 days till Spring, Edna. You can make it! Yesterday was very interesting. SIL Eddie came by with a friend to do a few things around here for me. He covered my A/C, put away my lawn bench and seat pads, re-covered the lawn tractor, checked out the snow blower, closed the shed window and replaced the screen on the laundry room door with the plexi window pane. What a guy! Now I'm ready for "Jonas." When Joe got home from work, we went grocery shopping. I only needed some staples, but I was able to pick up a couple large bags of peanuts for my birds and critters. Yesterday, there was a hawk in my yard, so that probably explains why my little birds haven't been around lately. 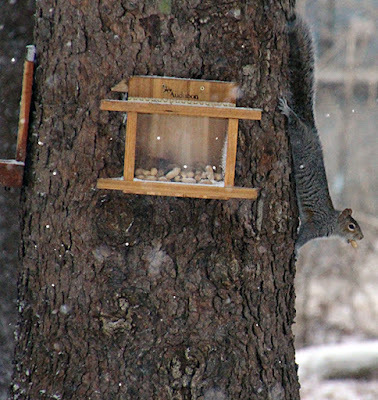 Actually, the squirrels have been rather sparse lately too. When I finished posting here yesterday, I realized that I hadn't made a QP for you. Oh dear! So, I spent a couple hours playing on my laptop making QP's. Gosh, why didn't I do this sooner? It's really a lot of fun. Here's this week's QP. I'm not really into steampunk, but I did have fun with this kit "Steampunk" by Tiny Turtle Designs. Enjoy. I just heard car doors out in my yard, so I think SIL Eddie and his friend are back. Hmmm, I wonder what they will do today? Well, I'd best go and unlock the door in the laundry room so that they can come in. Before I go, let me share this ribbon that I borrowed from the web. 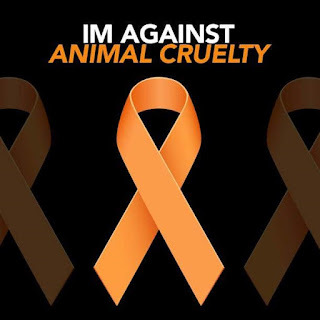 Folks, animal cruelty is a huge problem around the world. Let's see if we can't stamp it out soon. 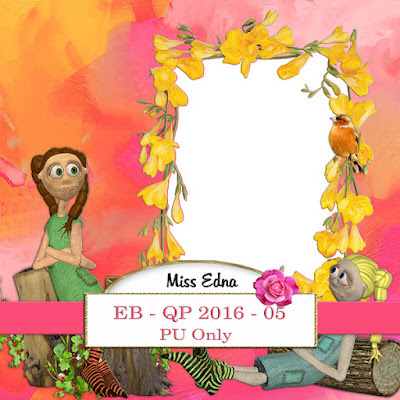 Feel free to copy and past the image to your blog. Together, we can fight this! Now it's time for me to get busy here. (and unlock the outer door) If you're in the path of this wicked storm Jonas, please be safe. Till Sunday, Y'all have a wonderful day. Good morning. I got up early this morning (around 5 a.m.). 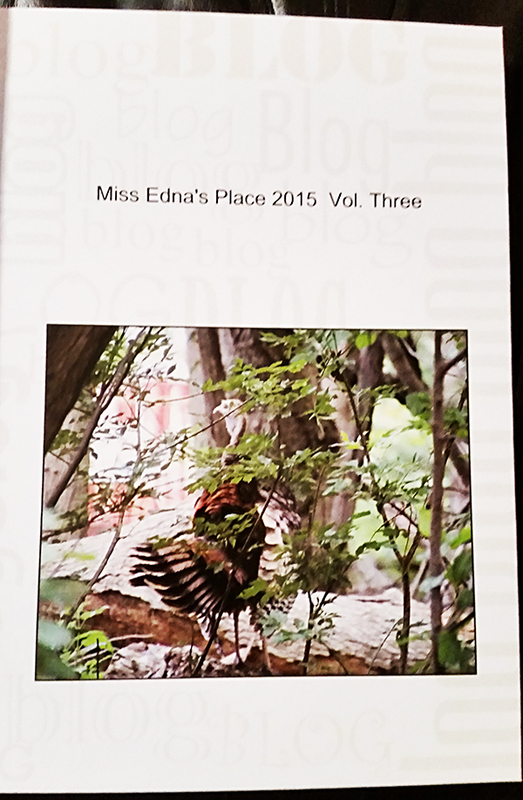 I still had a bit of blog reading to catch up with. It's a bit on the BRRR side, only 18F degrees. Today we should get up to around 30F. Oh joy, be still my little heart. Spring???? Please hurry here!!! I'm watching the Weather Channel to see what's happening with storm Jonas that is due here on Saturday. It's not a very pretty storm and is causing a lot of severe damage and chaos wherever it passes through. It has heavy winds, snow, ice, hail and rain. Not very pretty at all. Last evening, DIL Janet was here and we had a lovely evening getting caught up on all our news. It's been a while since we've been able to get together. Sad to say, she won't be able to join me in Florida this year. She has a bit of remodeling being started on her house soon and will need to be around to keep an eye on it. 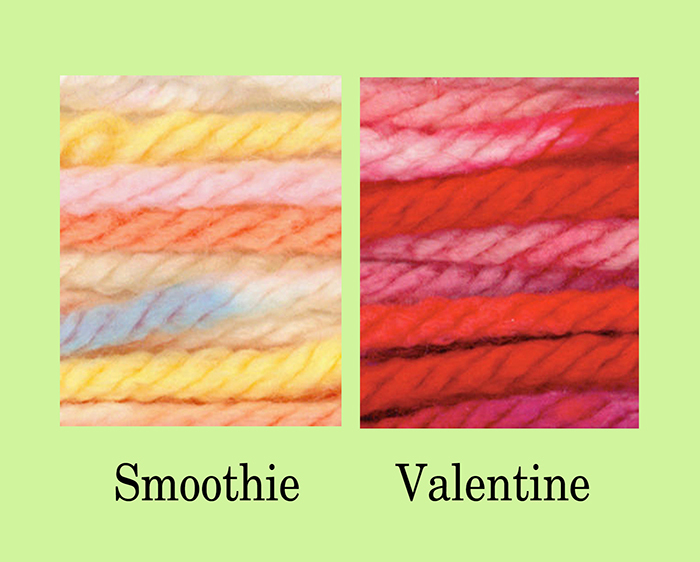 I downloaded images of the new yarns that I ordered to post here. I can't wait for them to get here so that I can start using one of them (possibly the Cotton Candy) with the Medium Rose afghan. I hope. If not, I'll start a different afghan. Aren't these just yummy colors? 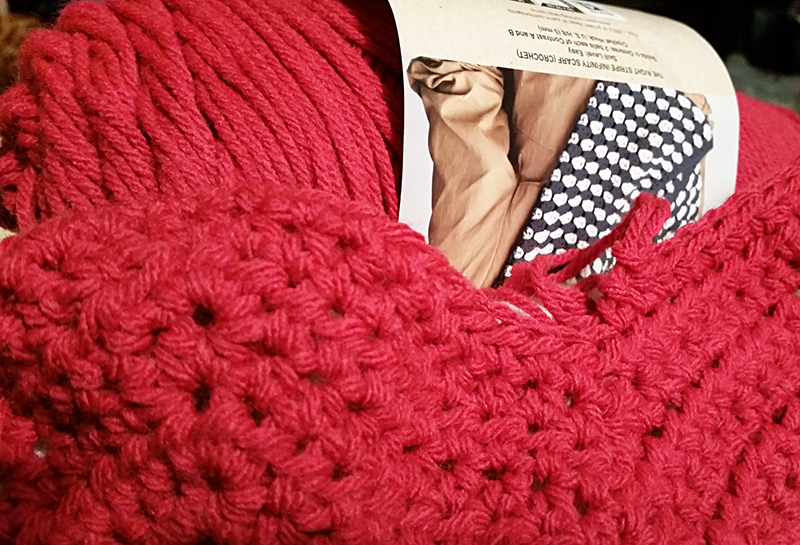 I'm hoping that the "Valentine" yarn will match the red yarn that I bought. 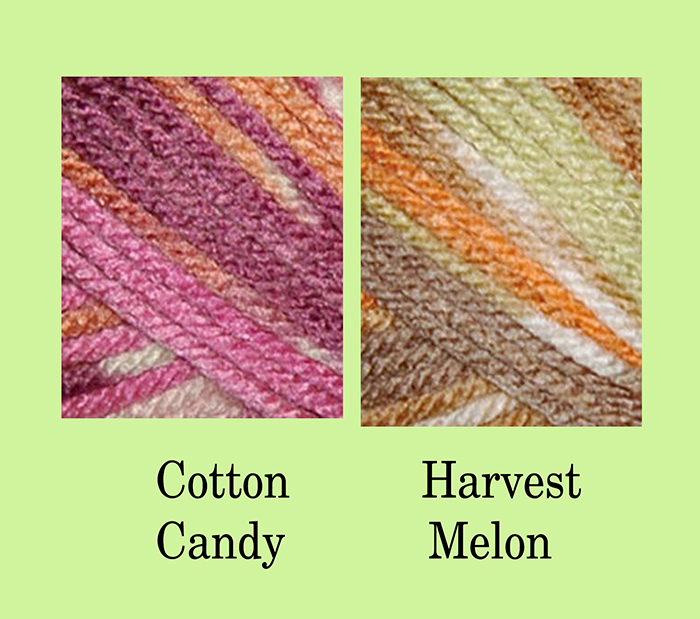 The "Harvest Melon" will match the new brown yarn and the "Smoothie" - well, I just couldn't resist the colors. Today I need to do a bit of shopping online to find me a new suitcase and a new tote. Pogo and I will be travelling alone on the way home from Florida, so I want to minimize what I will need to be carrying. The tote will have to serve as a purse and a carry on to hold my important things, and still be light and not too big. I will still have a suitcase, Pogo's stroller and Pogo in his travel case. I used to drive everywhere, and I may have to start thinking of travelling by car again. We'll see. I don't like going distances alone anymore. Must be an "old age" thing. When I think back on my younger years, it is scary how fearless I was. It's good I did it all when I was young and foolish. At least I have lots of fun memories now. Well, that's all the news here. I need to finish making up my shopping list. Joe and I will go grocery shopping later this afternoon. Plus I want to get started on my online shopping search. So, till tomorrow, Y'all have a wonderful day. Good morning. It's sunny and 22F degrees. The weather man says that we'll get up to around 30F degrees later today. Promises, promises! I'm just keeping my eye on the two storms working their way toward my little piece of New England. Especially the second storm. The thought of a ton of snow falling here is just not making my little heart go pitty pat. 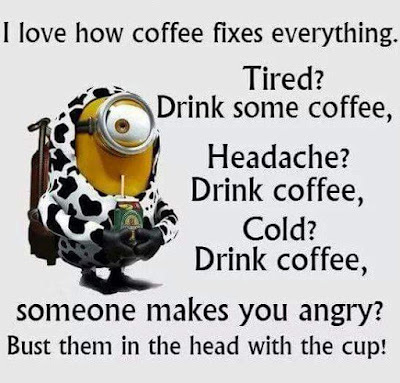 I borrowed this adorable minion cartoon from the web. It just seems appropriate for how I feel. Yesterday was an eye opener for me. 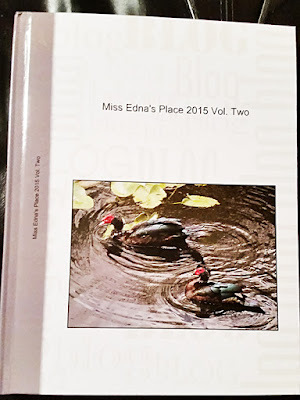 I spent a couple hours getting everything ready for my new blog book, and then went on-line to order it. I thought I had everything all set, then I got an e-note telling me that my book was way over sized and should be turned into two volumes. Next, I spent another hour or so dividing my book, and sizing two more cover photos. Once everything was all set, I called the printing company for help ordering. Folks, even with the 30% off coupon, my new books cost me double what I had planned to spend. Thank goodness for that coupon! I should explain here. 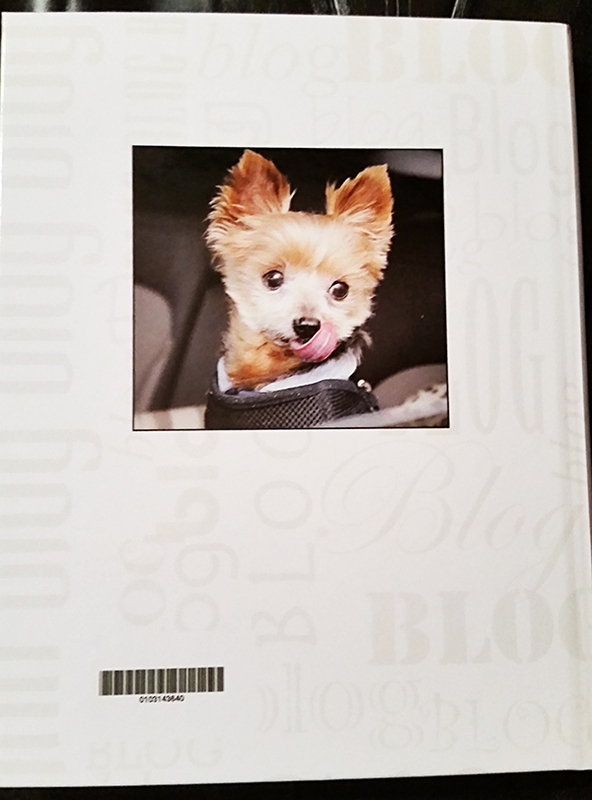 When you have your blog printed to book form, you have the option of including all the comments too. I have always chosen to include the comments. By doing this, there are twice as many pages in each book. However, I feel that the comments are an important part of the blog and my daily posts. I have a gorgeous photo to share with you today. My friend Mary Ann's hubby Gene took this photo. He entered it in a competition and took first place. Gene, congratulations. It's an awesome photo. Well, I've run out of news, and Let's Make A Deal Is on TV. I enjoy this program and The Price Is Right. So, till tomorrow, Y'all stay warm and have a fantabulous day. Oh For The Warmth Of Spring!! Good morning. It's sunny and pretty outside, but BRRRR! 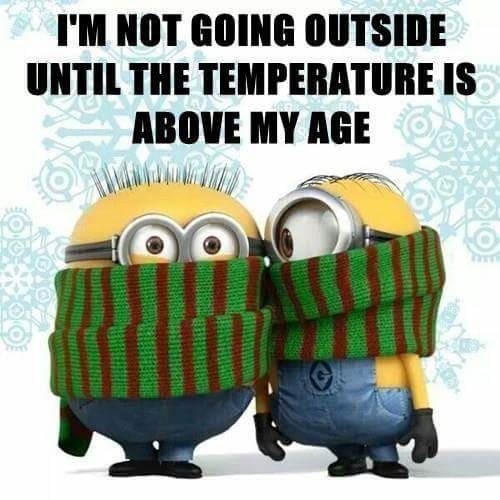 It's just too cold for these old bones. On mornings like this, I just do not want to come out from under the warm covers. So I stay put as long as I can get away with it. Pogo usually decides when it's time for me to finally come out and brave the cold. He jumps up and down, giving me soft little woofs till he catches my attention. Then when I pick him up, he showers me with soft little doggie kisses. Oh gosh!! Now I'm doomed!! 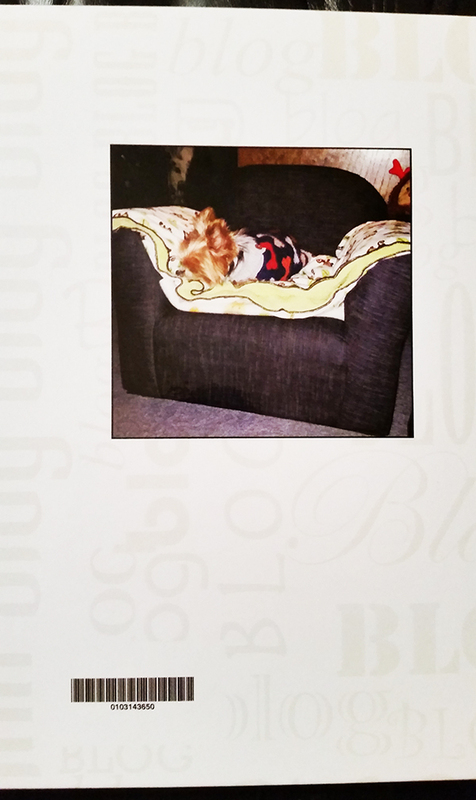 Doggie kisses are very new to Pogo, so this makes them extra special little treasures. The first thing I do once I am up is to make some breakfast for Pogo. Then I start a cup of coffee, and take any mail out to the mailbox. Next I finish making the coffee and something for my breakfast. Now it's time to start the morning. Today, I got an email reminding me that I need to order my new blog book today if I want to get in on this super sale. 30% off. Folks, this is a great sale, but it ends at midnight tonight. If anyone is thinking of making a blog book, today would be a good day to do it. I've already gone through all of my photos and picked out a few to choose from for the photos on the front and back covers. These are my choices. I'm leaning toward the turkey photo for the front cover and the close up of Pogo for the back cover. So that's my project for today. I think next I would like to make a photo book. It's something I've always wanted to do, so maybe this is the year to finally get it done. 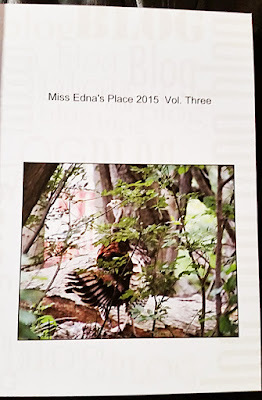 Actually, I made a photo book a few years ago. However, it is a very teeny tiny book. I'll have to dig it out and take a photograph of it to share. Well, that's about all the news for today. So, till tomorrow, Y'all stay warm and have a wonderful day. Good morning. The sun is shining brightly, but it is cold and there is snow everywhere. 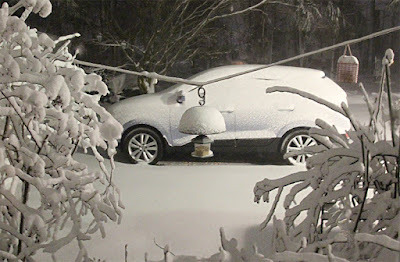 All through the night, until around 8 a.m. this morning, the snow fell and the wind blew. We ended up with several inches of it in our yard. It is constantly snowing beneath the tall pines because as the wind blows through the branches, it knocks the snow from the trees. I may have to go out soon and shovel a place for my little birds to eat. I'll probably throw a bunch of bread and seed under my car too. Today is World Day of the Snowman. So if your area has wet snow on the ground, get out and build a snowman. Or snowlady. Some folks even build snow animals and snow villages. It's good fun, and it's easy exercise. So, what will your snow person wear? Oh boy, I don't have to go out and shovel. Grandson Stephen is out there now moving some of the snow around. I just went out to make sure he knows to make a place for my birds to eat. The Weather Channel is saying that we may be getting more snow over next weekend. Gosh, not too much, I hope. I know we are lucky to just have snow here, and I try to remind myself not to complain about the cold and the snow. Now I think I'll go feed my little Pogo some lunch. He's not so happy with me because it is too cold to keep the door open so that he can see what's happening outside. Maybe I can pacify him with something tasty. So, till tomorrow, Y'all be warm and have a fantabulous day. Good morning. Gosh, I've been trying so hard all morning to sleep in late, but it is just not working. First Pogo wanted to go out into the house and get his turkey treat from Joe. Next I made Pogo his breakfast and then I tried to go back to bed for a while. But then my cell phone started making noises. One call followed by two text messages. I shut the phone off and rolled over. Too late. Groan, groan. Early this morning the sky was flooded with sunlight. Right now, the sky is gray. How quickly the weather changes. 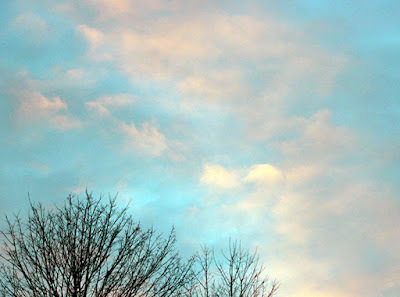 I went into my photo archives for some early morning photos of the sky. These were taken in 2012. The first was taken just before I left work, and the second photo was taken soon after on my way home from work. 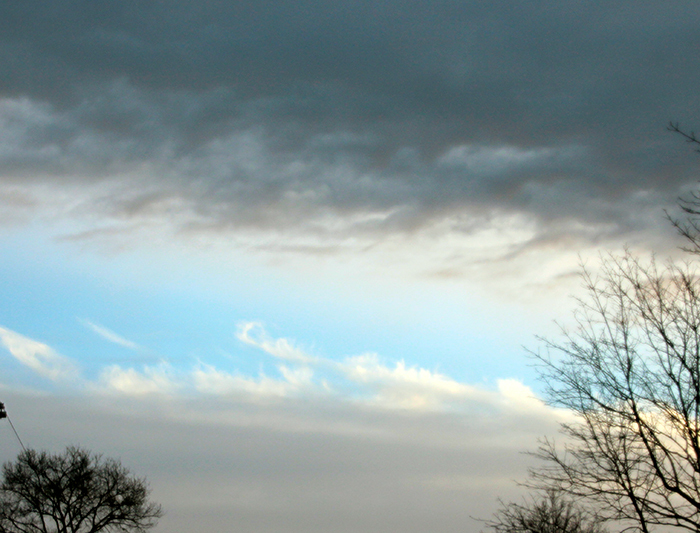 I chose these two photos because it shows how quickly the clouds roll in and change the day's weather. By the time I got home this particular morning, it was cloudy and gray outside. Another quick weather change. 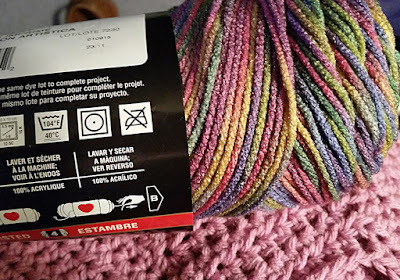 Well, I think I have a crochet dilemma. I've finished the first sections of both colors for the Medium Rose afghan, and I'm not happy. The Artist Print yarn keeps splitting, causing messy little mistakes all over the place. I've taken it all out twice and put it back on. I thought I finally had it all set with no split yarns, but then I found a couple more of them back a few rows. My dilemma is now what to do. Do I rip it all out and do it over again, or do I rip it all out and look for another yarn to use with the rose yarn. Oh dear, decisions, decisions. Well, until I decide which way to go, I'll have to find another project to work on. It may be gray outside, so today is probably a good day to do some laundry. And watch TV. And laze about. Sounds like a plan. Hmmm, now what's happening? Pogo is in the pantry barking at someone in the house. I guess I should go see what's going on. Seems like one of the dwarfs was sweeping the floor in the laundry room, and Pogo is just putting in his two cents' worth. He has to let everyone that he's the boss around here. What a guy!! Well, there's not much happening here so I think I'll get started on that laundry. So, till tomorrow, Y'all have a fantabulous day. Only 64 More Days Till Spring! Good morning. It's cloudy and 24F degrees here in New England. Earlier the forecast said that we would be getting up to about 41 degrees later today, but that has now been lowered to 39 degrees. I can't complain though. After all it is still Winter. BUT! Spring is only 64 days away! The weather is really getting more crazy lately. Today there is a rare hurricane in the Atlantic Ocean. and I think Mother Nature is trying to drown the whole of Florida. I hope all the rain and the tornadoes are done before it is time for us to go there. This may be my last year going there so I would like for the weather to be super. I'm tired this morning, but it's my own fault. I decided to back up all the files on my laptop late yesterday afternoon. This usually takes a very long time. So even though I was tired, I could not sleep because my mind was on the backing up. Every now and then I would have to go take a look to see what the progress was looking like. I know, dumb, huh? I finally dozed off in the wee hours for a couple of hours but that was not enough. This morning I'm planning on having a nap so that I'll be perky enough to go food shopping later this afternoon. I would put the shopping off till tomorrow but it is supposed to be raining tomorrow. Yesterday I watched the HSN shopping channel on TV most of the day. They were having their clearance sales and wowee! There were some super sales! Nope, I did not buy anything, but I enjoyed seeing all the beautiful things on sale. Today I have a couple things to share that I borrowed from the web. 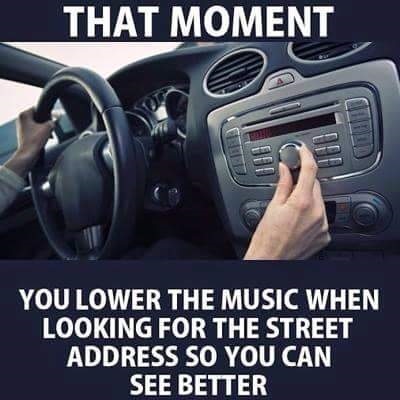 This first image is me to a T. I'm not sure why we do this, but I guess I'm not the only one who does. Speaking of Pogo (see note in parenthesis), I just love watching him during the night as he sleeps. He starts out on the big sofa until he has to make a potty trip. Next he curls up on his own sofa and sleeps for a while. 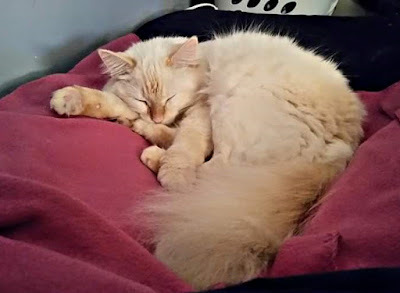 He'll get up once more for a drink or a potty trip, check to make sure the house is quiet, and then hop up on his chair and curl up in his fuzzy blanket and drift off to dreamland again. When he sleeps, it is usually a nice deep sleep. Yup, this really makes my heart happy. Well that's about all my newsie stuff for this morning. So, till Sunday, Y'all stay warm and dry, and have a wonderful weekend. Good morning. It's almost 5 a.m. and I've been up for a couple of hours. I took sick a couple of nights ago and spent all day yesterday in bed. I'm not sure what the problem was but my stomach was not feeling so good, I was running small fevers and I was woozy on my feet. Last evening, I started feeling a bit better. Gosh, there sure are a lot of strange bugs going around. I'm hoping this is the last one for a long time. It is so depressing when you don't feel good. Thank goodness for my Pogo. He takes very good care of me. Before I took sick, I had started a new afghan. It's main color is Medium Rose, and it is quite lovely. Together with the Artist Print yarn, it looks a bit old fashioned. This will be for one of my granddaughters next Christmas. Folks, my friend Nani has been admitted to a therapy facility for some much needed help with her MS. Do stop by her blog (just click on her name) and leave her some wishes for a speedy return home. She's a real sweetie and has such a dazzling smile. I miss her chatter on her blog. Nani Girl, get well and hurry home. Today I have a Quick Page for you. Gee, can you tell I'm wishing Spring would hurry up and arrive? The real weather here is cold and gloomy, so maybe this will brighten your day a bit. In the wee hours, around 1 .am., I was watching a crime show on TV when the cable went out. The sign on the TV screen said "Please be patient, we'll be back in a moment." Hmmm, I wonder why they say they'll be back in a moment when in reality the cable did not come back on for two hours? Meanwhile, I put the night light on (for Pogo) and decided to go back to sleep. Unfortunately, the night light lit up the whole room making it impossible to fall asleep. 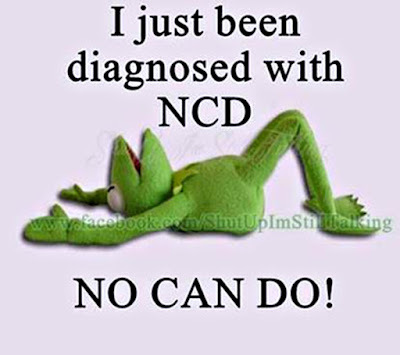 Some times you just cannot win! So I read a book for a while on my tablet, and put a couple more rows on the afghan before I decided to do a bit of catching up on my laptop. Now I'm getting tired so I think I'll try to catch a few winks. So till tomorrow, Y'all be warm and have a wonderful day. Oh My, Such A Fabulous Shopping Spree! Good morning. It's another cold morning, but the sun is shining so all is well. I've shut off the news and put on "Let's Make A Deal" (on TV). I need a dose of happy news. A young man dressed in a cow costume just won himself a brand new motor scooter. Now that's happy news! Well, let me share with you a fantabulous shopping spree that Pogo and I had yesterday. While we were out, we stopped in at JoAnn's Fabric store to look at the yarn. Would you believe? They were having a sale on all the yarn. Of course, while I'm pushing Pogo's stroller, I can't also push a cart. So, all the skeins of yarn that I was picking out had to go in the stroller with Pogo. Pretty soon, he was getting rather squished into one little spot. The last few skeins were precariously perched on the top of the hood on the stroller. Finally, there was no more room for yarn, so I had to make my way to the register. That's when the real fun started. First the cashier had to give a few sweet words and pats to Pogo. They like him JoAnn's. Then she rang up my purchases. They totaled $73.18. After the sales price, that was brought down to $54.78. But -- I had a $50 gift certificate in my purse. (Thanks to my wonderful DIL Janet.) This brought the total of my purchase down to $4.78. Now that's a great shopping spree!!! In my three large bags of yarn you will find such yummy colors as Medium Rose, Artist Print, Café Latte, Buff Fleck, Sky Blue and Scarlet. The first two I'll be working with are the Medium Rose and the Artist Print. As soon as I get a bit of this new afghan done, I'll have to take a photo. Ah yes, folks, I'm a happy little camper. Luna is almost all white and quite dainty. 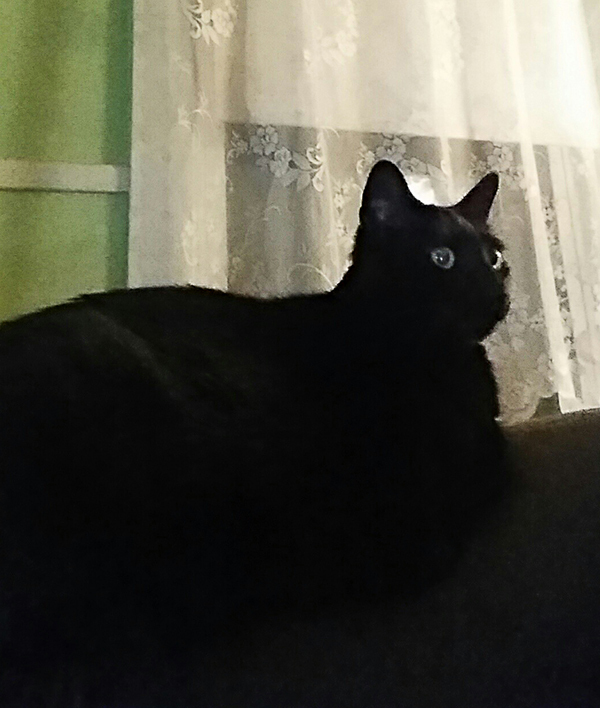 When she isn't snoozing away on a fuzzy blanket, you might find her grooming her pal Blackie. As you can see, our cats look quite content. My poor little guy is scratching away. His skin is getting so dry. So today I've started him back on his itch medicine, and in a little while, I'm going to give him a rub down with olive oil. Of course, he may need another bath after that, but I'm hoping it helps with the dry skin. It's not easy to get Pogo to take all the different supplements that I got for him. To make life easier, everything is in liquid form. However, he does not like for anyone to go near his mouth, so even liquids aren't easy to administer. If there were at least one food that I knew for sure he would eat, I could put the medicine in the food. But Pogo is quite the picky eater, so this doesn't often work. Well, time is fleeing and my coffee cup is empty. So I think I'll get started on that olive oil rub for Pogo. So, till tomorrow, Y'all be warm and have a fantabulous day. Good morning. After such a warn day yesterday, today feels wicked cold. Our temps have dropped from the 50's to the 30's. Brrrrr! At least the sun is shining so it doesn't feel quite so bad. It should be in the 30's all week with maybe a couple of days hitting 40F. Well I got up early this morning, 6:30 a.m. I made coffee and fed Pogo, and then I spent the next couple of hours paying bills and taxes and getting it all ready for mailing. Such a fun way to start the day! 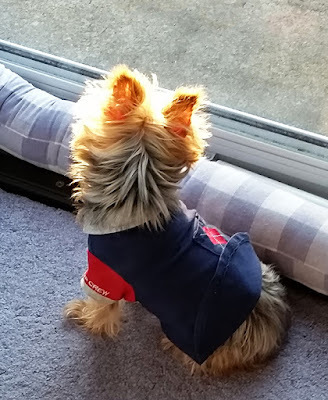 In a couple hours, Pogo and I will head out to do a couple of errands and take the car to the dealership for it's winter check-up. On the way home, I think we'll treat ourselves to a visit to JoAnn's Fabric store and see what they have for yarn. We had planned to go there over the weekend, but it did not happen. This afternoon, I would like to start working on ordering my next blog book. I just have to decide on a couple of photos for the front and back covers. I also want to look up Pogo's old groomer. Her work was always good, and Pogo is in need of a hair cut. Last evening I got a nasty surprise. I went to copy the instructions for the little crochet dress, and the pattern was gone. I've looked everywhere and cannot find it. For some reason I seem to be losing a lot of things from my laptop. Today I'll back up all my files again. Just in case. Later, I'll go looking for another dress pattern. Maybe I'll get lucky and find the one I had. That would be nice. While I'm at JoAnn's, I'll see if they have a pattern book with something I like. I do have a crochet poncho pattern for little ones. However, I think this will be nice for both new babies next year when they are walking. There's really not much else happening here right now. The dust bunnies are happy to be indoors while it is so cold outside. 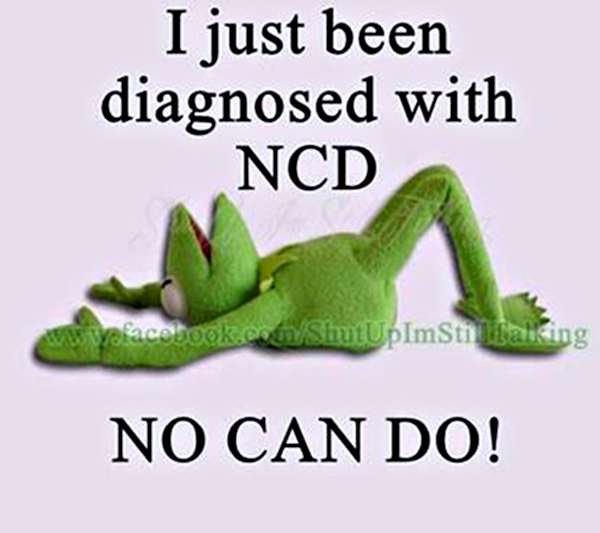 I could run the vacuum but my NCD is acting up, so the dust bunnies are safe for another day or two. On that happy note, I think I'll wash the breakfast dishes and decide on what to wear out today. Ah, such a big decision! In this cold, of course it's sweat pants and a sweat shirt. So, till tomorrow, Y'all stay warm and have a wonderful day. Good morning. Tis a bit on the gray side here in New England. Today will be warm (mid 50's) but with a bit of wind and rain. At least we get to keep the door open all day. That makes my little guy really happy. 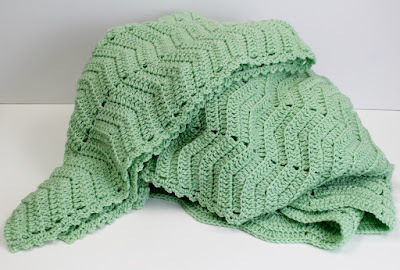 This weekend I finished the Honeydew green baby cocoon set. 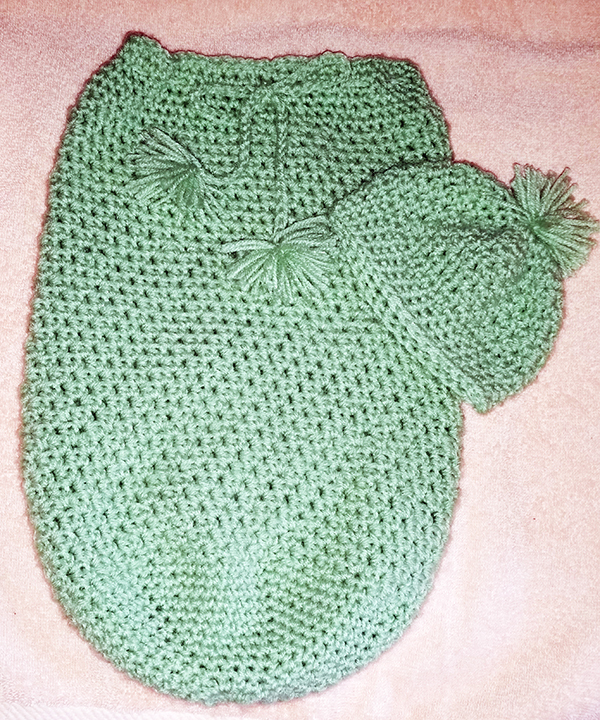 This set will be for Baby Aurora (due in March), and it's green because that is her mommy's favorite color. I think tomorrow when Pogo and I are done at the car dealership (regular auto check up) we'll stop by our local JoAnn's Fabric store and buy some new yarn. I'm wanting to get started on some new projects, though I may have enough Lemon Yellow to make a baby dress. Hmmm, sounds like a fun idea. Today I have a photo to share of another great granddaughter. This is Alena, my daughter Audrey's granddaughter. 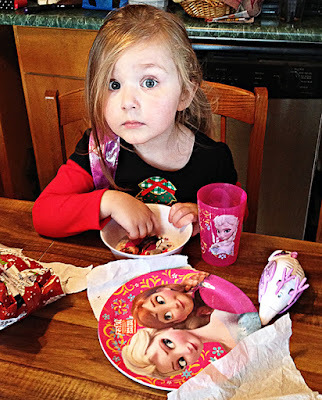 She's three years old, and getting ready to enjoy a meal in her new "Frozen" dinnerware. What a cutie! I opened the "2015" jar this morning and read through all the slips that I had put in it. 2015 was definitely a year to remember. It started with Jasmine getting the role of Dorothy in the Wizard Of Oz. Wow, Jazzy, you were fabulous! Next, Audrey's car got hit by a deer and the car was totaled. I had an appointment with my eye doctor and found that I had great eyes. 20/20 vision. Super!! Next came more snow. Lots and lots of snow, including a blizzard that dumped another 30 inches of snow on top of what we already had on the ground. We closed out January (yup, all this was in just one month) with Audrey getting her new car, and Kevin passing his road test and getting his driver's license. February was not such a great month. First Eddie (SIL) was in the hospital having knee replacement surgery, while his son Kevin was seeing specialists in Boston and having tests because of his respiratory problems. This month closed out with Audrey and Mac separating, and our Winter snowfall totaling 110 inches. After this came two weeks of much needed warmth and sunshine in Florida. During this time, my body was trying to fight off whatever respiratory illnesses that were going around. But by April, it had all caught up with me and I was down for the count. 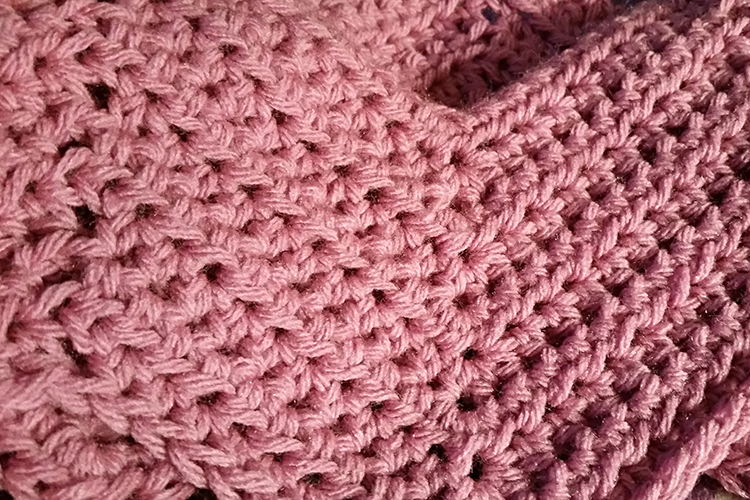 However, my fingers weren't sick and I was able to finish a lot of crochet projects. In May, my viruses had turned to pneumonia. June was a much better month. I was beginning to feel better, and on June 15, Kevin graduated from High School, exactly 58 years to the day when I graduated from High School. (6-15-57) By the end of June, whatever nasty bugs that I had caught were just about gone. Hooray! It's been a long haul. July was a happier month. I bought some new furniture for the main house, and Eddie built me a new counter for my kitchen. On July 16, the last of the snow in Boston finally melted. Imagine, five months for the snow to melt! During the summer, I was able to have a lot of new windows installed in the main house. In September, our Kevin started his first year of college, and made it on to the college baseball team. In the Fall, Jasmine enchanted us all with a fabulous performance as the Ghost Of Christmas Present in A Christmas Carol. 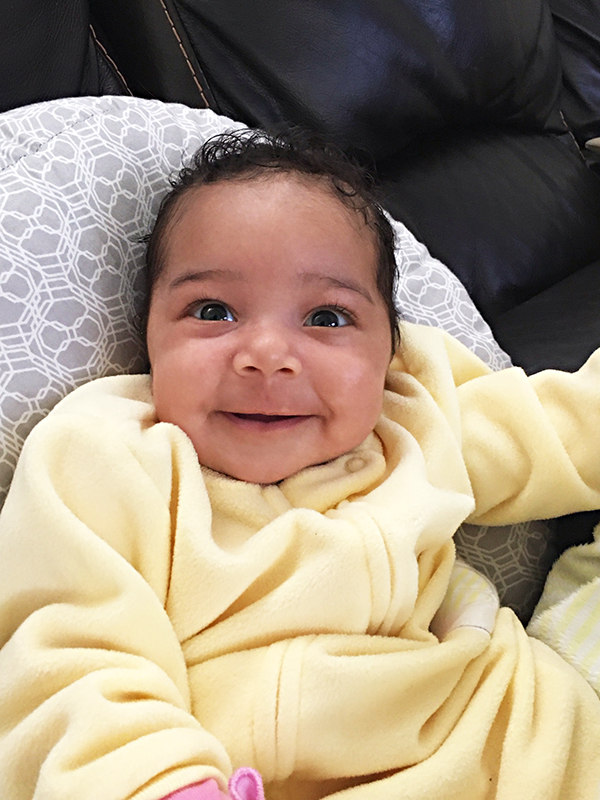 November brought another beautiful new great grandbaby, Ali. And December had me scurrying about trying to get all my Christmas boxes out on time. Phew! I made it! All in all, the year may not have started off so good, but it surely did end on a wonderful note. As I look out my door now, the rain is coming down at a pretty good clip. Today should be a good day to work on my tax stuff for a while and then set up my "2016" Jar. 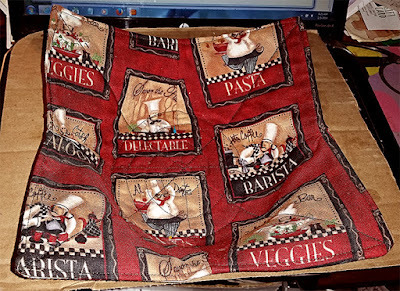 I'm thinking that another good project to start is a "Blessings Bag." I learned about this on the web. You put items in a box or bag to be given away to someone needy or homeless. This can also be made for an animal shelter. Sounds like a great project. Well, my coffee cup is empty, so I think I'll head to the kitchen and get me a refill. So, till tomorrow, Y'all have a magnificent day. Good morning. Tis quite gray and cloudy here in New England, although the temps are creeping up to around 41F later today. Today would have been Elvis Presley's 80th birthday. Will you be celebrating? Or one of the lucky folks who will be at Graceland today? Today the Power Ball Lottery is up to around $700 million. Good luck to those of you with tickets. Personally, I don't play. If I thought that I might have a chance at winning, I might play. But being realistic, I know that's not going to happen. In the beginning, when lotteries first started up, officials told all of us that this would be a chance "to make a lot of people millionaires." This has never really happened. Because it is difficult to win, the pot keeps growing to ridiculously high numbers before being won by someone. I think that a new winning number should be picked for every $5 million dollars in the jackpot. Now THIS would make a lot of people millionaires. Because more people would have a chance to win, more people would play. That brings me to another sort of "lottery" program. 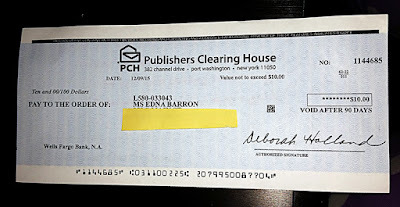 The Publishers Clearing House jackpots. For years this company has been sending me fat envelopes almost weekly (or bi-weekly) telling me that I have to rush my entrance forms (along with hopefully a new order for products) back right away in order to retain my eligibility to win the next big jackpot. Every now and then, a commercial on TV will show some new PCH jackpot winners, but none of them are anyone that I know. And none of them are me! Well I finally got the envelop that says "You are a winner. Here is your check!" Are you kidding me? $10???????? 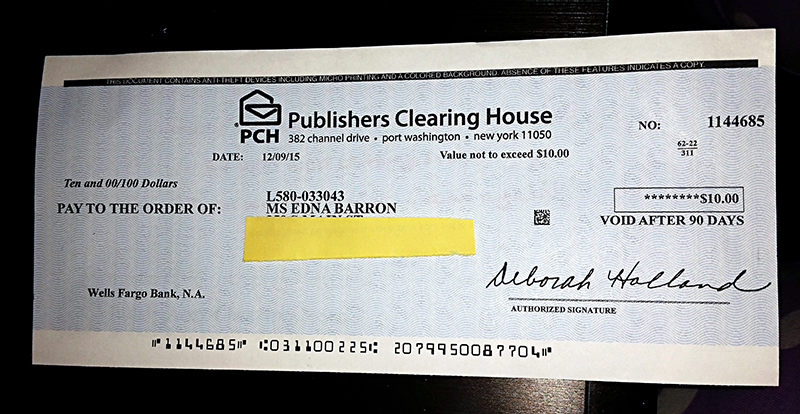 I haven't decided yet whether to cash the check or to send it back. Who in their right mind is going to enter a (huge jackpot) contest in order to win a $ ten dollar bill? Oh well, I guess I can stop ordering stuff from these folks now. On TV this morning, there is another big issue that some folks are wanting to resolve. 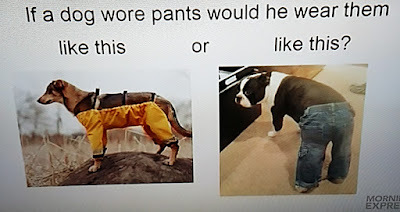 It has to do with doggie pants and the proper way to wear them. Hmmm, I was kind of leaning toward the second view, but both views look pretty good. Either way, the company making these pants has run out of product and is now working diligently to make a whole lot more of them to fill their orders. And no, Pogo doesn't have any of these yet. We'll have to wait until they are available around here before we can pass judgment on the best way to wear them. Well, I think it's time for me to get started on that tax stuff. Yuk Yuk!! So, till Sunday, Y'all have a fantabulous weekend. Good morning everybody. The sun is shining and the temps have crept up to 26F degrees already. Later this morning it is supposed to get up to around 40F degrees. Oh my, I hope so! I like it when we can keep our inside door open during the day. 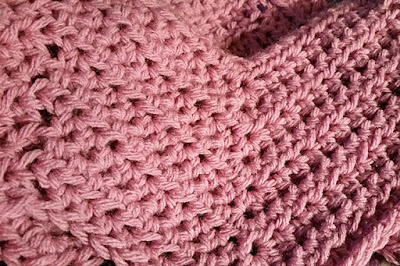 Lately I've been getting the "crochet itch" again. It just doesn't seem right to be sitting and not doing something with my hands. 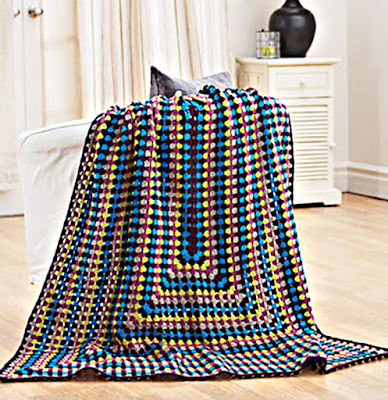 I found a couple new afghan patterns that I'd like to try this year. This first one (lt. green) is a variation of the pattern that I already do, and the second one is an oblong shaped large granny square. I think before I start a new project though, I need to finish the baby cocoon that I was making before my hand and arm started acting up so badly. I'll be happy if I have it finished before the end of this month. I've been procrastinating about making my flight plans for our vacation. I'm not sure why, maybe it's just the winter blues. Actually I think maybe I've just been waiting for Joe and DIL Janet to be ready to order their tickets too. Unfortunately, we've already lost out on most of the better prices. Next winter, I do believe I want to have my travels plans finished up in December. Today I'm waiting for a delivery from the fuel oil company. They don't give you an approximate time when they are coming, but I have no plans so it's okay. Yesterday I got side-tracked before I got to start my laundry, so today I'll have to get that done. Tomorrow's plans will have to be changed. I was supposed to be taking the car in for a regular check up but I have a couple of errands to do, so I'll see about changing the car appointment. I have a gift card to JoAnn's Fabric store so maybe Pogo and I can stop by there while we are out doing errands. I need to get out my little laptop and make sure it is ready for travel. This year I want to keep my carry on things as light as possible. Seems like everything I have gets a little bit heavier each year. Hmmm, I wonder why this is? Well, I slept in late this morning, and now we getting close to noon time. I think I'd best be thinking about what to feed my little guy for his lunch. So, till tomorrow, Y'all have a splendid day. P.S. All the links through the end of December will be removed this coming Sunday. Be sure to download the QP's that you want before then. Good morning. 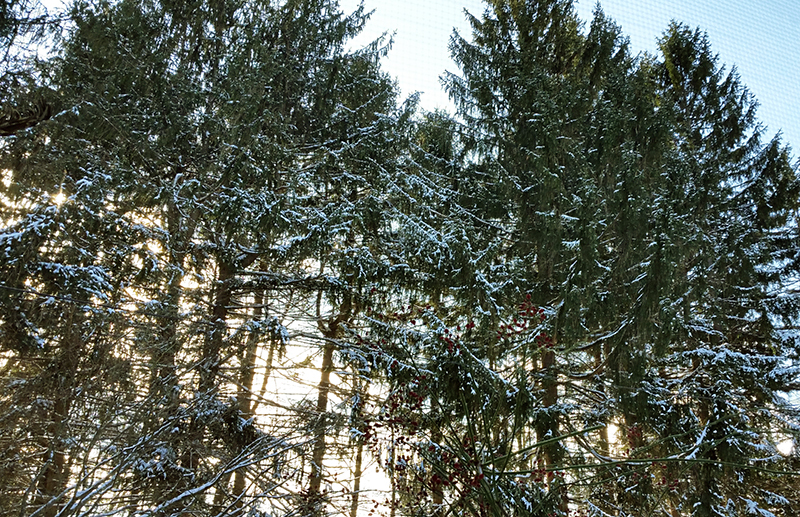 My goodness, it's already up to 16F degrees and the sun is shining. Today should get up to about 40F degrees. I hope. It all depends on which forecaster you listen to. The trick is to watch them all and then average out all the forecasted temps. This way, you'll be pretty close. Pogo and I have finished our breakfast, and I've already called to order another heating fuel delivery. Now I can settle in and enjoy my coffee. Er, where did my coffee go? I didn't think I had drunk it all, but I must have. Pogo doesn't care for coffee. Hmmm, I think first I'll go get me another cupful. I'm back. With another cupful of coffee. I'm going to have to keep my eye on this one to make sure I'm the only one drinking it. Did I ever mention that this house has ghosts? No? Well, it does! Over the years, several people who have lived out in the main house have said that they have seen or heard ghostly sights or sounds. In my little part of the house, well let's just say I'm not crazy, but things happen out here too. No, things don't levitate or anything like that. But, sometimes there are weird sounds, and sometimes you can feel a breath of air hitting you as if someone or something walked by you. And, sometimes things get moved. I've spent many an hour looking for something that wasn't where I had put it, only to find it back in the first place that I looked. Strange. 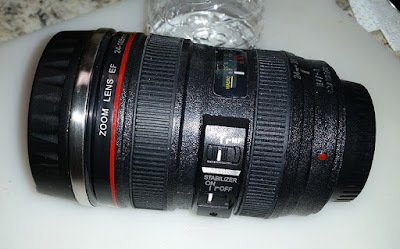 Let me show you another super gift that I got for Christmas. You know, a while back I saw one of these and I wanted it. Somehow I got side-tracked and never ordered it. Nani Girl, I love my new mug. That's what I'm drinking out of right now. Thank you so much. 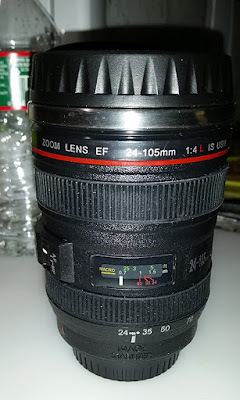 Oh, did I mention that my new lens is really a coffee mug? It even has a cap that keeps the coffee hot, and it's great for travel. Today I have another QP for you. Have you noticed that I post them out of numerical order sometimes? Not to worry, eventually they all get posted. Holidays, events and weather sometimes dictate which ones I will post at any given time. Today the weather across most of the country was the deciding factor for which one to post. I do believe this one is quite appropriate for today. 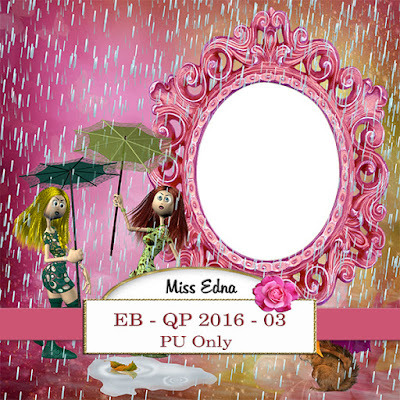 Seems there's a lot of rain falling everywhere, even in Lola's little town. And, she's not looking too happy about it! Hmmm, I just had a sip of coffee, and would you believe? The second cup of coffee is almost gone already! 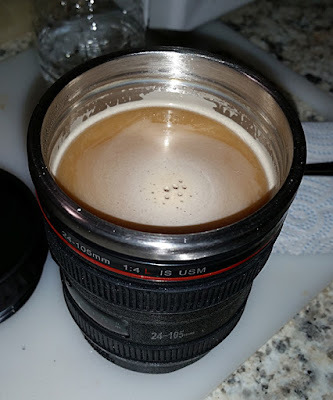 I know I didn't see anything touch my mug. Just me. Strange. Do you suppose I really did drink that first cup all by myself? Maybe it's the coffee. It's delicious - Nescafe Gold from Holland. Mmm, mmm, mmm! Well that's about all that's happening here. Except for laundry. You know, I could stay dressed in my jammies and housecoat all week, and there would still be at least two loads of laundry to do. How is that? Well, it's okay because laundry is my favorite part of the household chores. Enough of my babble. It's time to put that first load into the washing machine. So, till tomorrow, Y'all be safe and dry, and have a fantabulous day. Good morning. First, let me say thank you for all your good wishes. They must be helping because I'm feeling lots better. Other than occasionally running a temperature, I think that whatever got me is on it's way out of my system. Today our Jasmine turns sixteen years old. My goodness, where are the years flying to? It was only a few yesterdays ago that she was an adorable, energetic little girl eager to try all the fun things in life. Today she is a smart, beautiful and talented young lady. Happy Birthday Jazzy. I'm wishing you a beautiful day, and may all your dreams come true. I love you. 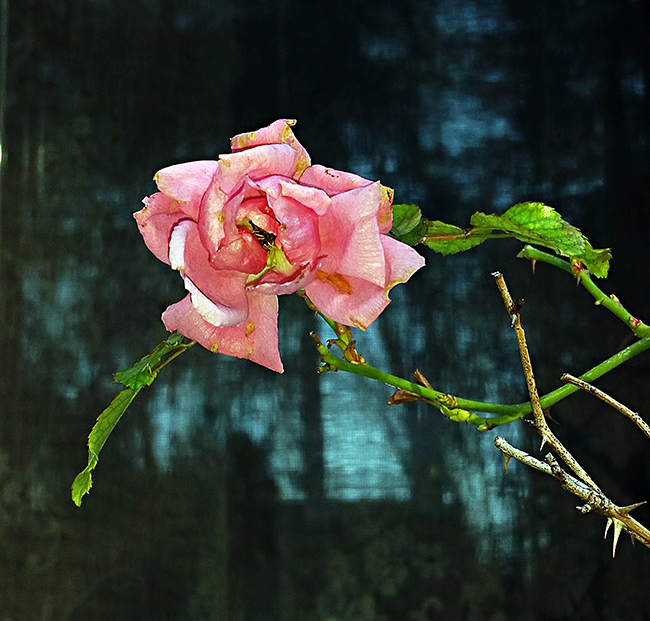 Our little pink rose is trying desperately to hang on to life now that the temperatures are dropping to wicked cold lows. I took this photo this past Saturday (Jan. 2). The poor little pink bud had froze, but was trying to thaw out. This photo was taken in front of a window, and the reflections are of trees and a neighbor's house a couple of lots over. Yesterday morning, my SIL Eddie called to check up on me. He was also down with a bug, and Kevin had to go see his doctor yesterday because he was sick too. What a way to start the week. Plus, I looked out the door and what did I see? It was snowing! Just what we need. 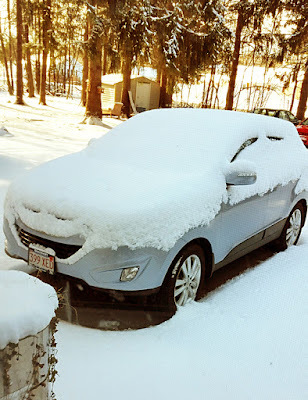 I took this photo of my car with my phone before everything was covered in white. Last night, I started getting my appetite back. That's definitely a good sign. On the other hand, that's when the really cold temperatures set in here. It was only up to 9F degrees this morning when I got up to make breakfast for Pogo and me. We're supposed to get up to about 23F degrees later today. Folks, I have to share another really cool gift my friend the Queen Jester made for me. It's a bowl cozy, and I have to say that I use this every day. Now I don't have to worry about dropping a hot bowl any more. You know, folks always said about my Dad, "Give him a piece of wood, and he'll make you something beautiful." 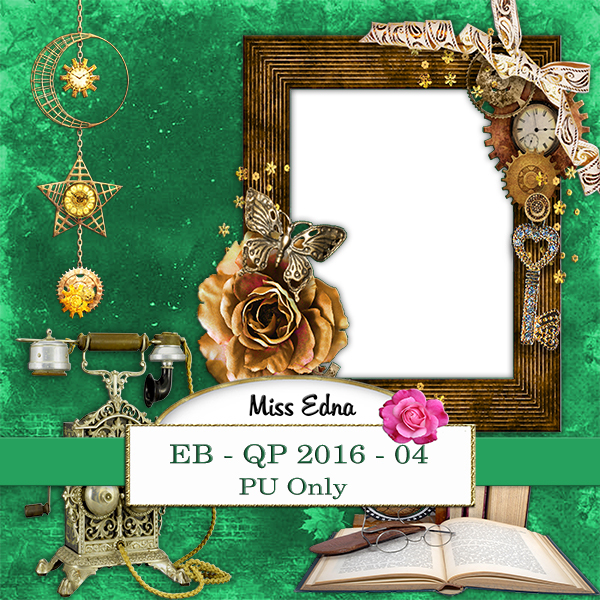 For my friend the Queen, I say "Give her a scrap of material, and she'll make you something fabulous." 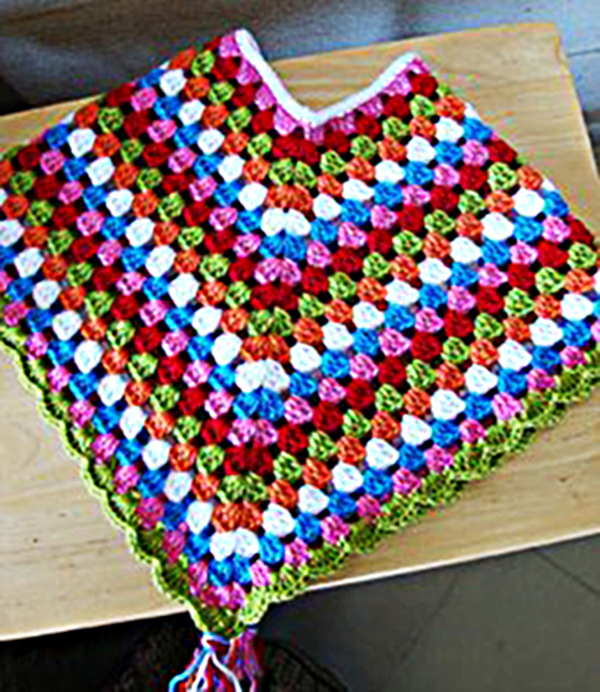 Cheryl, I love my bowl cozy and my little runner too. Now I'm starting to feel a bit chilly again, so I think I'll head for my lounge chair with a fuzzy blanket. So, till tomorrow, Y'all have a fantabulous day. Just 76 Days Till Spring! !